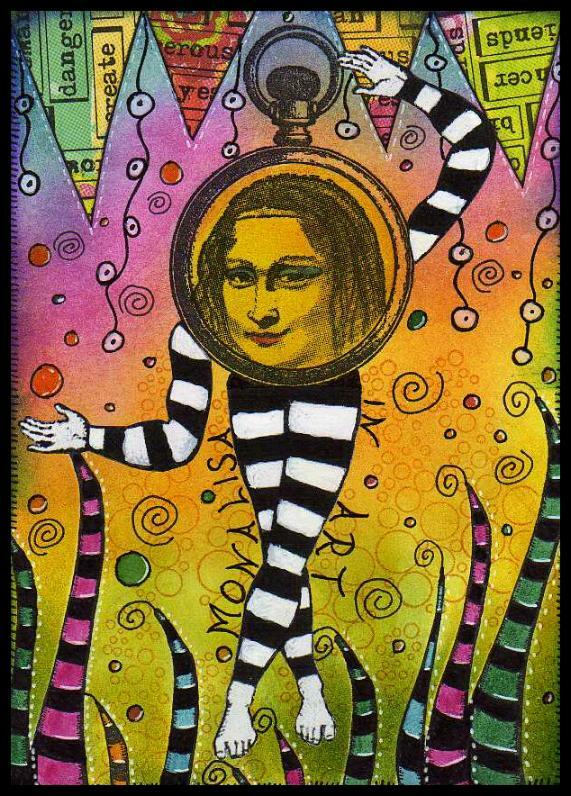 Fatma has chosen the theme of Mona in Art for this weeks 6 x 4″ postcard challenge! We are looking forward to seeing all your fabulous 6″ x 4″ creations…. 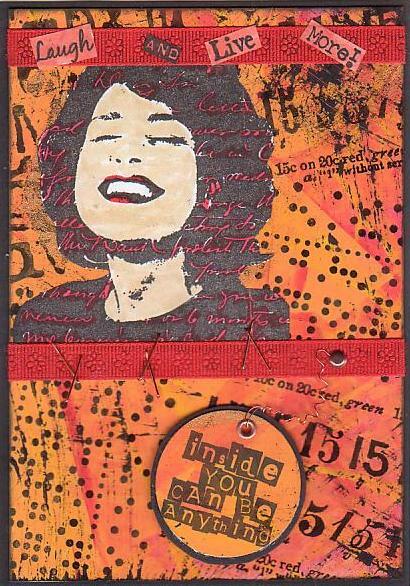 collaged, painted, hand-drawn, in fabric, stamped…. what ever medium you choose to use! Here are a small selection of the many fabulous creations from this week…. 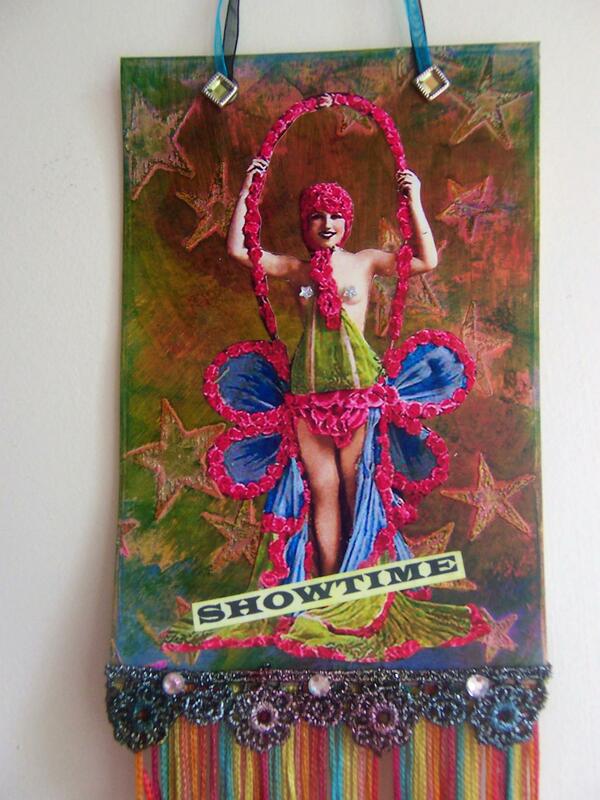 This week we are all going to razzledazzle ’em with our 6×4″ postcard creations of ‘showgirls’. Moulin Rouge, Can Can, casino girls or any other type of Showgirl you can think of! 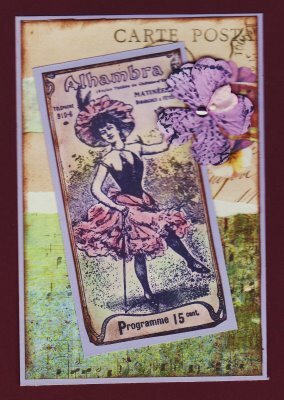 We are looking forward to seeing all your art this week, whether it is collage, stamping, mixed media, fabric or any thing you like using to make your ‘SHOWGIRLS’ 6×4″ postcard. I made a hanging piece to show you all… lovely, bright and garrish! Make Art and have fun! This week we want to see your tribute in postcard form to an artist who’s paintings you admire. 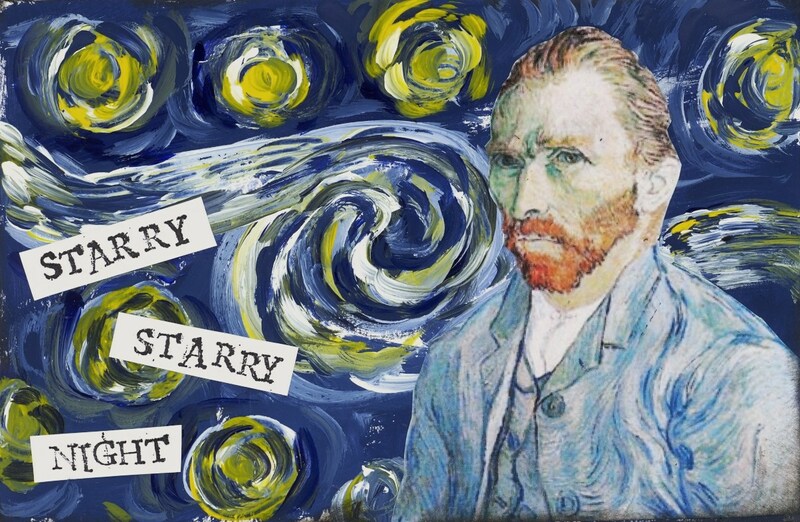 I’ve always liked Van Gogh and the look of texture he created with his painting so he was my choice. Show us your 6″x4″ creations. 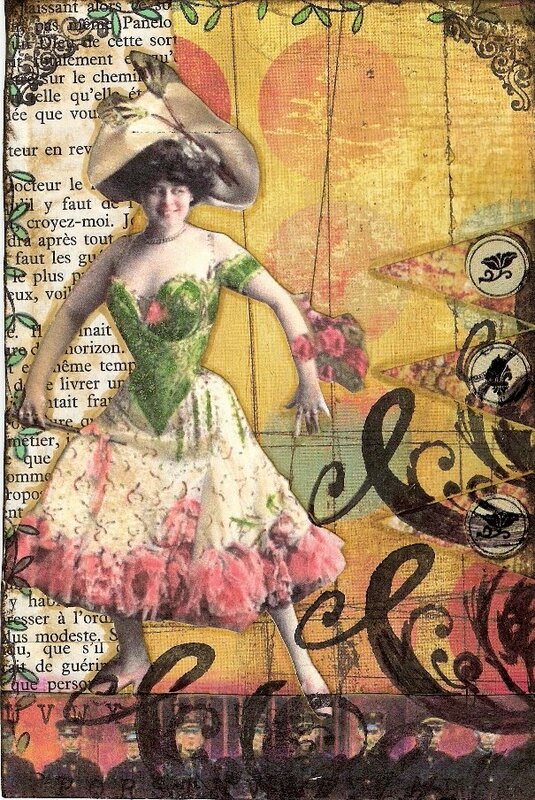 Use any medium you like ~ paint, fabric, canvas, collage, stamping…… and then post a comment with the link to your art on your blog/flickr/photobucket, etc. We are looking forward to seeing your wonderful creations. 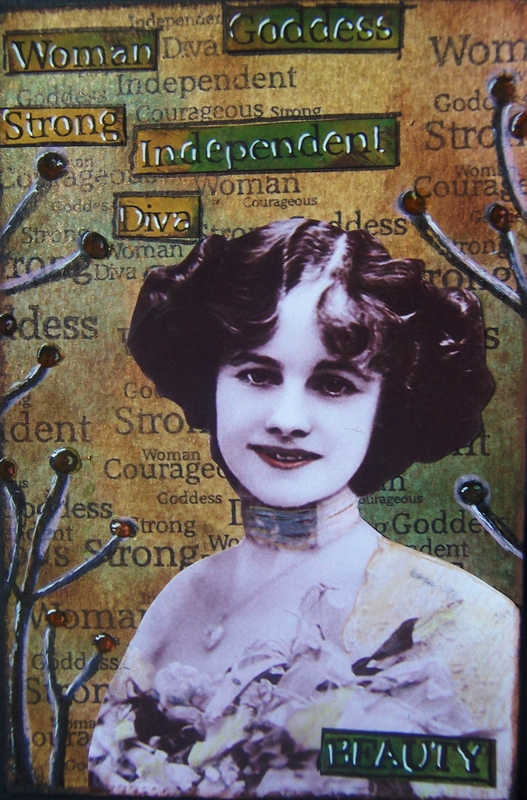 For this week’s theme we are celebrating WOMEN. Look forward to seeing your wonderful artwork.